Our incredible catalogue of international artists will blow you away! 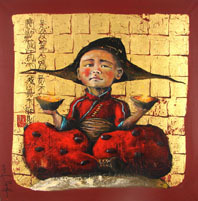 Discover about 7000 original artworks from talented emerging artists at affordable prices. All available for you to admire at work or to buy online. 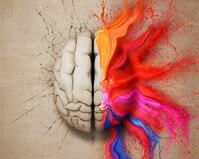 Why should we all have Art at the office? 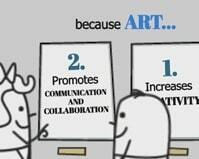 Mr Happy says : Art makes us work better! 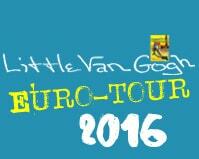 Euro-Tour 2016 : the second round of the Little Van Gogh Euro-tour is just launched! The artworks from 19 Little Van Gogh artists have started the second round of their four years Euro-tour! 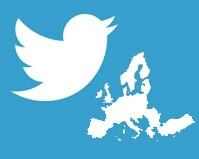 Let’s tweet European! Our twitter account LittleVanGoghBE is moving to @LittleVanGoghEU! © Little Van Gogh - Art and paintings renting services for companies: paintings, sculptures and pictures. Little Van Gogh is the belgian specialist in art renting for Brussels, everywhere in Belgium and in Luxembourg.